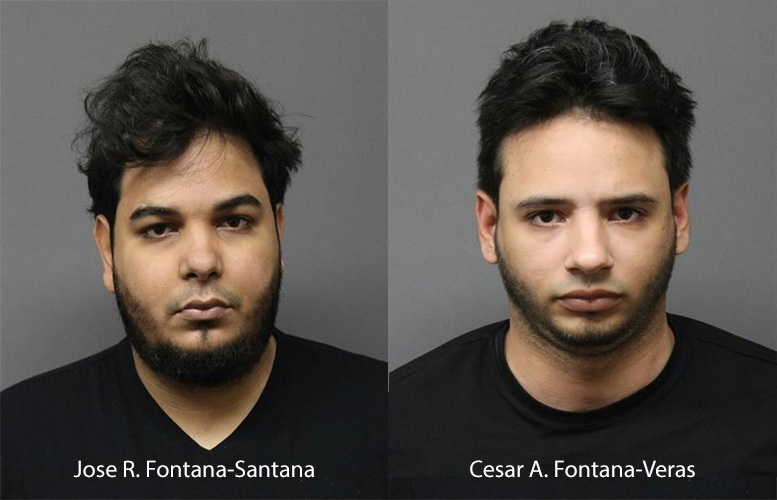 Two city men were arrested in Teaneck on Thursday transporting $141,965 in suspected drug money, according to the Bergen County Prosecutor’s Office. Jose R. Fontana-Santana, 27, and Cesar A. Fontana-Veras, 26, were charged with money laundering offenses, authorities said. Authorities said police pulled over a silver, 2012 Ford Escape in Teaneck. Inside a sophisticated, aftermarket electronic-hidden compartment in the rear cargo area of the vehicle was the cash, authorities said. Money was packaged in a way that’s consistent with being that of drug sales, authorities said. Authorities said both men lived at 1092 East 24th Street in Paterson. Both are unemployed. Fontana-Santana and Fontana-Veras will make their first court appearance at the Bergen County Superior Court on December 6, 2017 at 8:30 a.m.